Expiry date is the date up to which the manufacturer of a drug can guarantee that the drug is fully potent, effective and safe for consumption based on scientific testing of the drug1,2. So the expiry date can be considered as the point in time when a pharmaceutical product is no longer within an acceptable condition to be considered effective and safe. It indicates the point at which the drug's potency begins to diminish or toxic level can begin to exceed from the desired level3. There is difference in between the term "shelf life" of a drug and its "expiration date". The shelf life generally relates to a drug's quality over a specified period of time, whereas the expiration date relates to both quality and safety of a medication at a particular point of time4. A drug that has passed its shelf life can be safe for consumption, but its quality is no longer guaranteed. Considering the manufacturing aspects, shelf life can also mean the time between the manufacturing date of a drug and the expiry date fixed by the manufacturer. Depending on the product, the expiry date of a drug may be set as a fixed time5. Generally, solid dose formulations have a longer expiry date compared to liquid preparations. The expiry assigned by the manufacturer on a container is expiry date, in unopened condition. After opening, the expiry date could be dramatically shortened6. This should be specified on the label of container or in the service user’s medicine profile. Certain external factors like contact with moisture, water, temperature, air or light can affect expiry of a drug–e.g. antibiotics to be taken as a liquid formulation can be in the form of a dry powder which is then reconstituted with water and then assigned a shorter expiry date7. The manufacturing companies are required to stamp the date of manufacture and date of expiry on their products. The expiration date is often printed on the label or carton under "EXP" or stamped into the bottom8. It is commonly expressed by month and year or by the actual date of expiry. The product can legally be used or dispensed until the last day of the stated month and year. But ethical parameters are also to be considered. 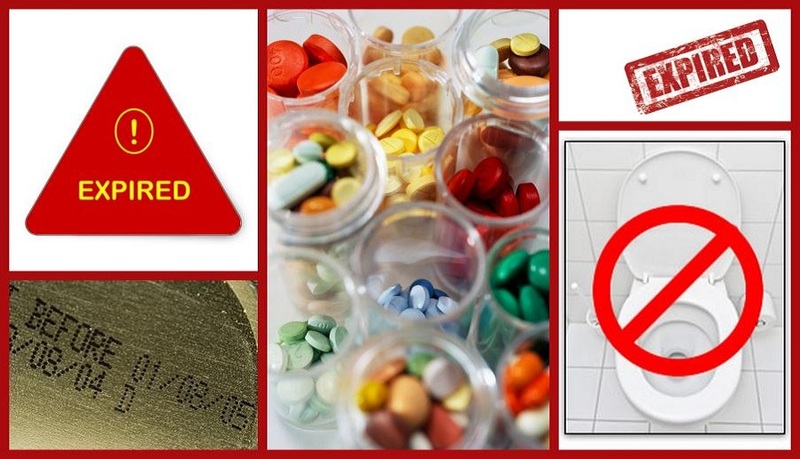 The period between the date of manufacture and date of expiry should be in compliance with that laid down in the Schedule P of the Drugs and Cosmetics Rules and if the drug is not specified in the said Schedule drugs should not bear an expiry date beyond 5 years from the date of manufacture9. The expired medicines shall not be stored in the pharmacy and patient care areas of the Hospital. But it can be kept in a separate area demarcated for this purpose as per the provisions of the Drugs and Cosmetics Rules9. Shelf life/Expiry period is calculated depending upon the effect/behavior of the product under the extreme conditions of the temperature, relative humidity, acidic and basic condition(pH). Before entering in to the market, the manufacturers have to submit the Accelerated & Long term stability study data where the drug product was stored in conditions of extreme temperature and relative humidity, and need to provide the data in continuation once the product is approved and need to provide many commitments to the regulatory authorities. The expiration date of medicines is based on direct interpretation of the knowledge obtained from stability studies and is an application too, employing appropriate statistical and conceptual procedures Detailed documentation on stability studies under the good manufacturing practice specifications of the companies inspected regularly by the authorities and the system assure that the drugs do not loose their potency and consequently their efficacy and safety by the expiry date stated on the label. Post marketing surveillance is also a key factor in this regard10,11,12. When a firm wants to change the packaging of a drug product (e.g., from a bottle to unit-dose), again stability testing must be performed on the product in its new packaging, and expiration date should be fixed based on the results of the new stability testing3. After the expiry date, the product does not necessarily become useless, as it may only have reached the potency limit of the active ingredient. The active drug could become chemically unstable and the effectiveness of the drug may change. However, if the other physicochemical characteristics (such as pH, dissolution rate of tablets and capsules, particle size in creams and suspensions) have changed, or toxic degradation products reach unacceptable levels, use of the product may be harmful1. Also there can be increased risk of contamination. Keep all medication in the original container in which they were dispensed. Keep medicines in their original outer packaging, to protect from sunlight. All medicines should be stored according to the specifications in the label-Store in a cool (below 250C) dry place unless it is to be stored at refrigerator (between 20C and 80C) or deep freezer(Still lower temperature). Any changes in the appearance of a medicine should be brought to the notice of regulatory authority. The opening of the original container may affect the expiry date. Record the date of opening of the product and the calculated expiry on the medicine package/label. Be vigilant with product expiry dates and storage requirements by the manufacturer. ‘Sharing’ of medicines including creams and ointments is not recommended, medication should be user specific. Care should be taken while ordering the drugs which should be appropriate for requirement in order to avoid medication waste. Check the medication is still sufficiently within its expiry date. Note and act on the specific storage instruction e.g. store at 2-80C. Rotation of the stock should be done so as to reach earliest expiry at the front and therefore going to be distributed at first i.e. ‘first in, first out. 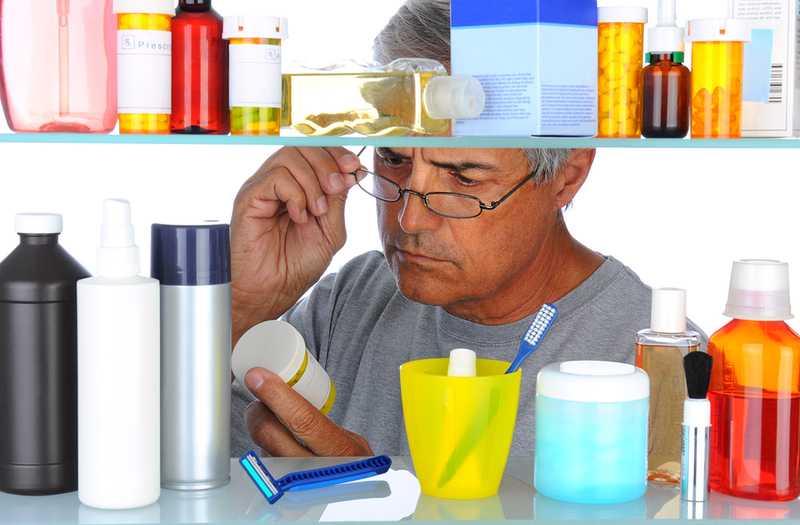 Checking expiry dates of medication stock at least monthly and following the guidelines of institution are essential. Ensure that the drugs are remaining in the original container in which it was received and different batches are not mixed. Check expiry date before each administration. Record the date of opening of the original container and the calculated expiry on the medicine package/label where appropriate e.g. creams, eye drops. It is essential that the product remains in the outer packaging/container throughout duration of the treatment. The short expiry should be reminded to all staff. Any product whose appearance suggests that it is unfit for use should be discarded irrespective of expiry date. If there is any doubt contact the community pharmacist for advice. The changes can be brought to the notice of regulatory authority. Prescribe appropriate quantity of medications actually required, rationally in order to avoid waste. Quantities which appear to be excessive should be queried. Consider nominating a community pharmacist for processing care home prescription requests and to act as contact known to the care home to deal with queries. If decanting from bulk container, label with appropriate expiry date conspicuously. Highlight any shortened expiry dates. Do not obscure expiry dates with labels. Thus Expiration dates are specifically conservative to make sure that we get what we paid for—a fully potent and safe medicine. 1. Expiry dates.Australian Prescriber. 2 (17). (www.nps.org.au/australian-prescriber/articles/expiry-dates). 3. Swaroop A P, Varun D. A glimpse on expiry date of pharmaceutical dosage forms. Pharmanest Vol.2 (5 – 6 ) Sep – Dec -2011(www.pharmanest.net). 4. Darrell Hulisz, Difference Between Shelf Life and Expiration Date of a Medication (http:netwellness.org). 5. Good Practice Guidance 4: Expiry Dates for Medication Adapted from previous NHS Berkshire East guidance, ‘Expiry Date Guidelines for Medication’ (2010) (http://www.windsorascotmaidenheadccg.nhs.uk). 6. Answer requested by Pariwartan Singh. If a medicine has an expiration date mentioned as a month instead of a date like July, 2014, does that mean that I can consume it until the end of July or the end of June? (https://www.quora.com). 7. Do Antibiotic Expiration Dates Matter? - The Survival Doctor( thesurvivaldoctor.com). 9. The Drugs and Cosmetics Rules,1945. Ministry of Health & Family Welfare-Government of India (www.mohfw.nic.in ). 10. Ferrero A. Stability of medicine: its relationship with their expiration date and with degradation products. Vertex. 2006 May-Jun;17(67):210-9. 11 .Sanjay B, Neha S D, Singla. Stability studies ensuring the maintenance of product quality, safety and efficacy throughout the shelf life are considered as pre-requisite for the acceptance and approval of any pharmaceutical product. J of App Pharm Sci 02 (03); 2012: 129-138. ( www.japsonline.com). 12.Ashok B. If a medicine has an expiration date mentioned as a month instead of a date like July, 2014, does that mean that I can consume it until the end of July or the end of June? Doctor-Pediatrician, an impatient optimist (https://www.quora.com).